A pre-eminent science communicator who published two best-selling books in the last decade will discuss his latest work at 6:30 p.m. Nov. 1 with Vanderbilt University Chancellor Nicholas S. Zeppos as part of the Chancellor’s Lecture Series. 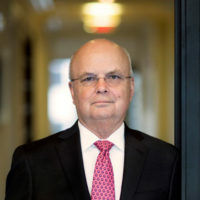 His keynote address at Langford Auditorium will be followed by a question-and-answer session moderated by Zeppos. Mukherjee serves as an associate professor of medicine at Columbia University and as a staff cancer physician at Columbia University Medical Center. His articles have appeared in numerous publications, and he’s editor-in-chief of Tonic, the digital health news platform for Vice Media. Mukherjee’s achievements as a writer and educator build upon his exceptional career as a renowned medical researcher, where he has enabled the development of new treatments that include a diverse array of cutting-edge biological and environmental therapies. 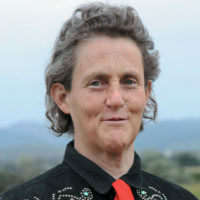 The next Chancellor’s Lectures Series speaker will be Temple Grandin, autism activist, prolific author and professor of animal sciences at Colorado State University, on Nov. 29. 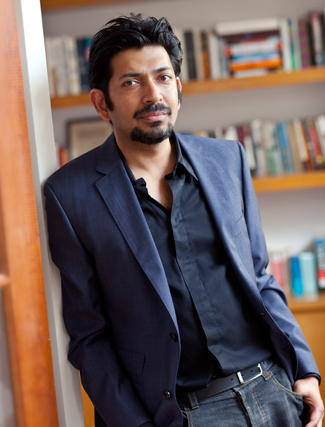 Admission to Mukherjee’s lecture is free and available on a first-come, first-served basis, with free parking in the 25th Avenue Garage. Please confirm your attendance for the event at vu.edu/cls-mukherjee. 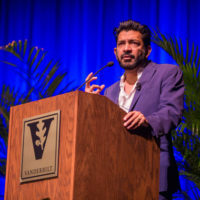 The Vanderbilt Chancellor’s Lecture Series strives to connect the university and the Nashville community with intellectuals who are shaping our world. For more information about the series, visit the Chancellor’s Lecture Series website, email cls@vanderbilt.edu or follow @Nick_Zeppos on Twitter.